The people of Canada, meet your new political party option: the People’s Party of Canada. Maxime Bernier — former Conservative MP, cabinet minister and Tory leadership contender before going rogue and branding the party “intellectually and morally corrupt” — unveiled the name of the new federal party he is hoping to lead into the 2019 election Friday. “People are fed up with traditional politicians, I’m not a traditional politician,” Bernier, told CBC Radio’s The House. “I’m saying that what I believe is right, and if you like it, perfect. Vote for me. If you don’t like it, I don’t mind — it’s okay,” he said. “For me, the time for political correctness is finished and the population I think appreciates that, they appreciate the authenticity,” he said. With just under 400 days to go until the 2019 election, Bernier said he is confident he will run a full slate of 338 candidates. “The goal is to have strong riding associations ready before the end of December in every riding in Canada,” he said. Bernier, who will be returning to Parliament on Monday for the fall sitting as an independent, said it will take time to register the party with Elections Canada, but in the meantime, it’s full steam ahead when it comes to political fundraising. Bernier said he has raised $140,000 so far. He added that he is respecting Elections Canada’s rules, including maximum limits for donations. It’s back-to-work time for MPs returning to Parliament Hill after the summer break, and with the election countdown clock ticking, parliamentarians are shifting into overdrive. Both the Liberals and the NDP held their national caucus meetings earlier this week to discuss top priorities for the fall session. With the Liberals approaching their fourth year in government, chief government whip Mark Holland said they won’t be straying too far from their economic agenda. “What I hear at the doors is infrastructure, I hear the economy, I hear people talking about their kids. Those are the top line issues,” Holland said. The NDP are also choosing to focus on traditional bread-and-butter issues for the party. “Certainly the issues are the same issues the New Democrats have always tackled,” the NDP’s caucus chair Matthew Dubé said, such as NAFTA, opposition to pipelines, and affordable housing. Three senior members of Prime Minister Justin Trudeau’s cabinet have been found to be in violation of ethics rules in the past year — a list that includes the prime minister himself. 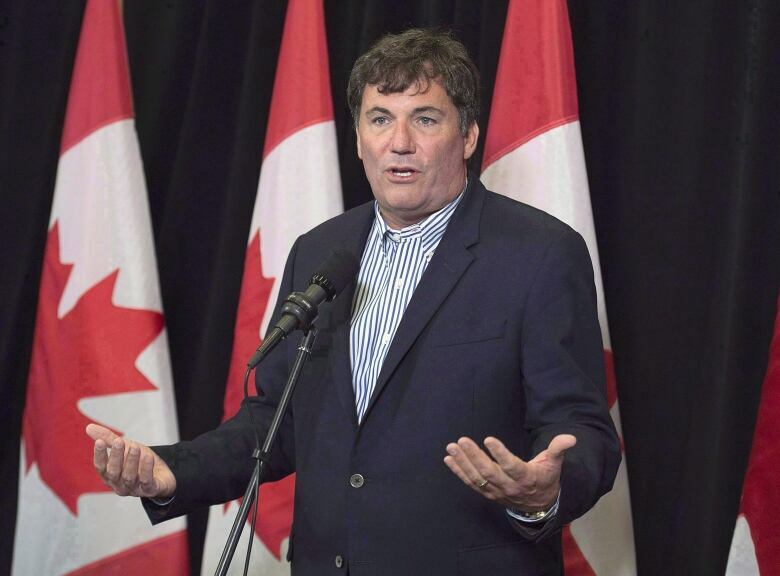 The latest Liberal in the hot seat is Dominic LeBlanc, the current intergovernmental affairs minister. Conflict of Interest Commissioner Mario Dion ruled this week that LeBlanc, in his former role as fisheries minister, violated conflict rules by awarding a lucrative fishing contract to a company set to be run by one of his wife’s first cousins. He was not fined. So do the conflict of interest rules need to be more clear? That is the question The House host Chris Hall put to Lori Turnbull, director of the School of Public Administration at Dalhousie University. “There’s usually somebody, and usually more than one somebody, who finds themselves on the wrong side of conflict of interest regulations at some point,” Turnbull said. 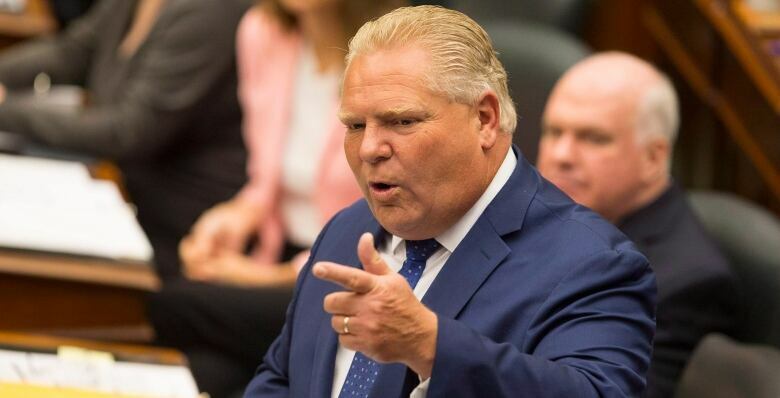 This week’s chaos at Queen’s Park — following Ontario Premier Doug Ford’s decision to use the notwithstanding clause to push through his government’s bill cutting the size of Toronto’s city council — is resonating in municipalities across the country. “Today they come for Toronto, tomorrow they come for you,” Ajax mayor Steve Parish told The House. The notwithstanding clause, officially called Section 33 of the Charter of Rights and Freedoms, was created as a compromise between federal and provincial levels of government during debates over the constitution in the early 1980s. It allows premiers or prime ministers to override a judge’s ruling on legislation that they determine violates a section of the charter for a five-year period. Edmonton’s mayor Don Iveson, who also serves as the chair of the Big City Mayors Caucus, questions whether Canadians understand just how vulnerable local democracies are. “This is a wake up call for everybody — and time to do something about it,” he said. Mayors across Canada have been in communication ever since Ford announced in July he would be cutting the size of Toronto city council from 47 seats to 25. “We all agreed this was a fairly bizarre jurisdictional overreach so close to an election,” Iveson said. Iveson added that he hopes all levels of government will collaboratively come to a “political” and “Canadian” consensus.